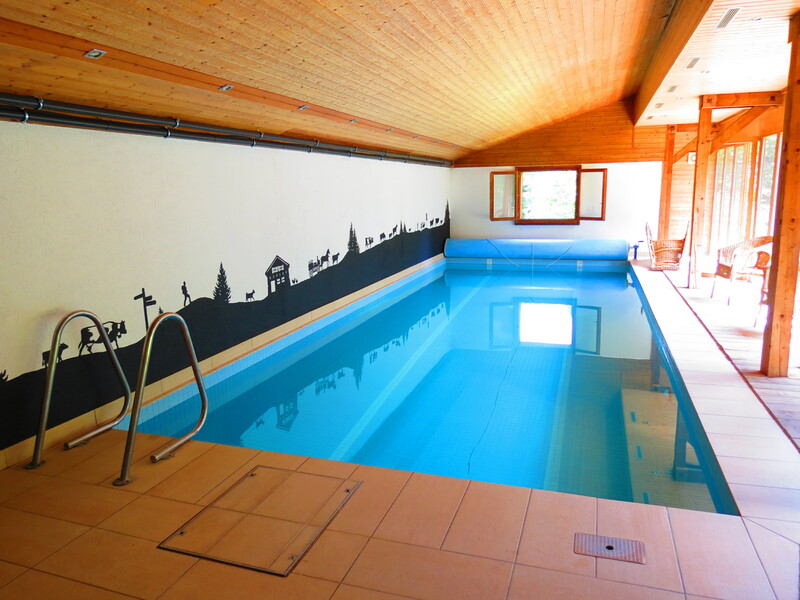 The pool room is a real luxurious highlight of Chalet La Taupiniere and we are privileged to have a private indoor pool, which is very unusual in Switzerland. The pool room benefits from fully glazed, floor-to-ceiling windows and doors to the south, with views onto the garden and mountains. The doors open onto the terrace and garden, which is idyllic in summer. On the north wall is a hand-painted ‘poya’ – the local, traditional style of painting, showing the cattle heading up to the summer alpine pastures. The pool hall is 13 metres long by 5 metres wide and there’s a poolside sitting area with wicker chairs and a lounger. A large shower is perfectly placed for use between saunas and swimming. The heated indoor pool, which is 9.15m x 3.65m (30ft x 12ft) and has an even depth of 1.5m (5ft) all over. The water is automatically heated (by an environmentally-friendly air source heat pump) and filtered, and cleaned using an ultra-violet light system, fortunately meaning no chlorine is needed. 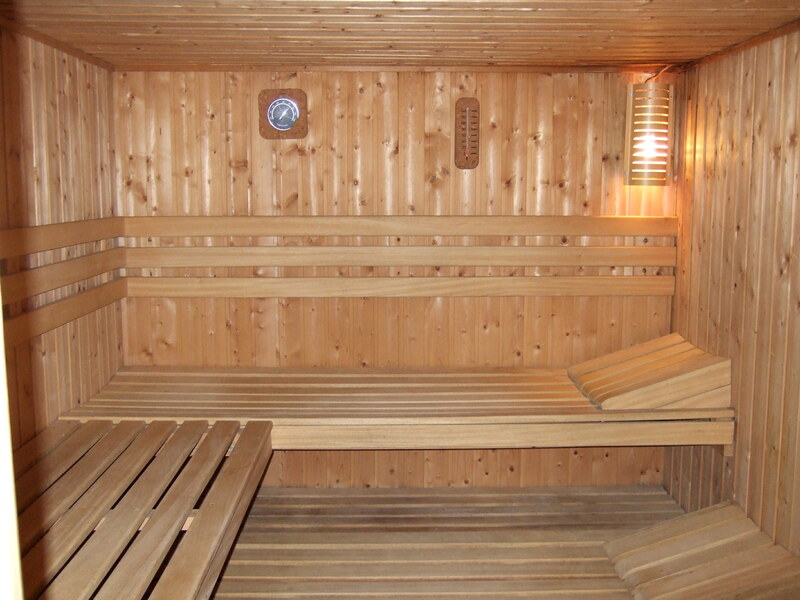 Located next to the pool room is a large sauna, which has three ‘beds’ and easily sits 6-7 people. The sauna is the same size or larger than those of many hotels and health clubs and it’s ideal after a good day’s skiing or hiking to relax those aching muscles.